You've looked at all the statistics, compared the data and the financing, and now you're ready to make that car purchase. But, before you take the leap you should have a quick test drive to make sure the car feels right and fits your style. This is where it becomes important to have a good sales person and a professional car dealership. If you find your sales person to be inattentive, uneducated about the car and unable to guide you around the vehicle's features, you should ask for a different sales person (or better yet, the sales manager). With 18 years of automotive sales experience, we asked our resident car expert, Rich, to help us put this guide together. We've put together a few suggestions to help you make the most out of your test-drive. How much junk fits in the trunk? Hauling groceries, a gaggle of soccer players, pets, ski's, and even a couple of bags of mulch is part of owning a car. So, be sure to take a look at all the spaces in the car. Open all the doors and sit in the rear seat. Imagine the car full of kids, or pets. Will everyone fit comfortably? Are the seats easy to clean? Is it easy for your passengers to get in and out of the car? Open the trunk up and make sure it has enough room for your groceries or golf clubs. 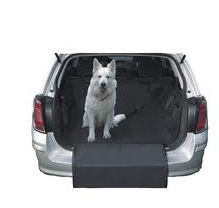 If you need to fit longer items, like ski's, ask the sales person to show you if the rear seats fold down. If the roof has a luggage rack ask your sales person to explain how it works, and if any additional equipment is needed (and , of course, how much it costs!). If you want to have a long and enjoyable relationship with your car, you have to make sure it meets your needs! Next, sit in the drivers seat and take a look around. This is usually when the sales person will start to explain all the ins-and-outs of the car's accessories. Make sure to listen carefully and ask any questions about options you don't understand. Don't be shy! If things like Bluetooth connectivity or MP3 playback are important to you, be sure to bring them up with your sales person. This is an excellent opportunity to ask about the rear seat entertainment system (if the car doesnt come with one, don't worry - we sell an easy to install version for you), and to see it in action. A well informed buyer is the best customer, and good sales people are always happy to share their knowledge and put all their training to good use. When it's time to get on the road, take a few moments to check the mirror's and make sure everything is accessible. 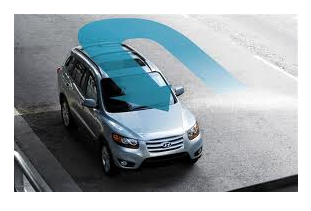 Adjust your rear view mirror and side mirrors - this will give you a chance to check for blind spots. Make sure you also adjust your seat so that you can easily reach the steering wheel. The optimal seating position should allow for easily reach of the steering wheel without having to stretch. While making all these adjustments, remember that you will be spending quite a bit of time in this seat so it should meet your comfort needs for firmness and back support. With everything adjusted to your liking, take a look around one last time and make sure there are no blind spots and that you can easily read the vehicle's dashboard. It's finally time for the fun part! Switch the ignition on and listen carefully to the starter to make sure the car doesn't hesitate when starting up. How does the engine sound? Is it too loud or too quiet for you? Test the gears out to get a feel for how easy it is to use the shifter. If your vehicle is a manual transmission, check the clutch to make sure that it's not too firm for your taste. A reader from Wisconsin said: I was test driving a car with standard transmission, and for the life of me I couldn't get the car into first gear. Something about the way I was shifting just made it too difficult for me. I knew then that it was not the car for me. Finally, get going! How's the acceleration? Does the engine respond the way you thought it would? Now that you're goin', try stopping! Just as important as the acceleration, is the stopping. Once your test drive takes you to a safe road devoid of traffic, test the breaks with a hard stop. Make sure the car does not hesitate, or that the breaks do not slip. Try a few slower stops too so you can see if the breaks are comfortable. A reader from California commented "The breaks on my compact were much too tight for my liking. As soon as I tapped on the pedal, the car would jerk in sudden deceleration. Definitely not my style." If you're buying your car for household use, then you will want to remember to let the other drivers try the car out. Don't trust your husband or wife to make the decision for you. You may end up with a car that is perfectly suited to your spouse, but very ill suited to you. Make time somewhere in the middle of your test drive to pull over and switch places with the other driver(s) in your household. Turning radius is something that many people don't pay attention to until it's to late. Trying to make a U-turn becomes a hazard if your car can't clear the curb! Drive your test vehicle to a large parking lot and test the turning radius to ensure it's what you are accustomed to. While you are at it, make sure the steering isn't too difficult for you to handle, and that the wheel is a comfortable size and shape. A writer from Minnesota commented that her "steering wheel had these odd bumps where the driver's thumbs would rest that were so very uncomfortable." While you are at the parking lot, park the car and put the parking break on. Get out of the vehicle and listen to the engine as it runs. Make sure the sound is to your liking and that it's running smoothly and evenly. Ask your sales person any questions about things you may not understand. A reader from Michigan said "I had to ask the salesman why the muffler was making so much smoke - it seemed odd to me. It was also dripping water, which I was sure was a problem. But, he kindly informed me that because it was 27 degrees outside, the exhaust was condensing and causing smoke and moisture much the same way our breath was." This may also be a good opportunity to switch places with a different driver so everyone has a chance to try the car out for size. 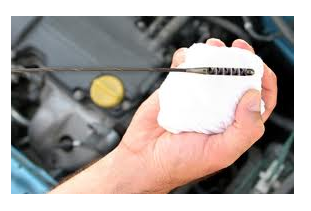 An easy aspect of the car buying experience that is often overlooked is maintenance. While you have the car sales person with you on the test drive, be sure to ask about some simple maintenance questions. Open the hood and find out where the windshield wiper fluid goes. Ask how much fluid the car can hold and how easy it is to refill so you know if it meets your driving needs. A reader from Florida writes "during love bug season, we used so much windshield wiper fluid while driving to wipe the bugs off that we had to refill the fluid tank every few days - it really made me wish we had a larger tank!" Remember to find out where the battery is, and if it has any unique charging needs. Some batteries are no longer found under the hood, and are now located in the trunk. Others have special connections for being jump started. While under the hood, you'll also want to see how easy it is to check the oil - an important piece of knowledge for those of us that take long road trips! Some of these tips may have sounded obvious, but in the excitement of the moment you may forget them. Remember that this is a hands-on opportunity to really see the car behind the numbers. Keep a cool head, enjoy the experience, but make sure you ask a lot of questions. Don't be shy! Do you have any tips for taking road trips? Share them with us below!